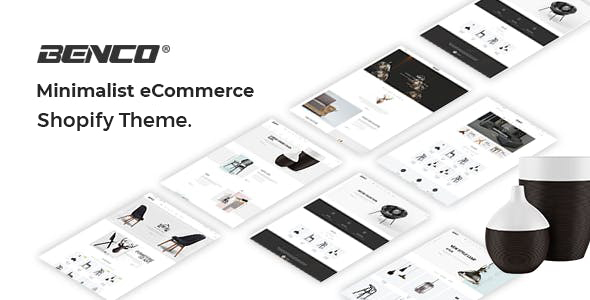 Benco – Furniture eCommerce Shopify Theme + RTL + Dropshipping is a multipurpose eCommerce Shopify Theme Which is completely responsive. This responsive theme has elegant & smooth design which may help you to create a dynamic online business store. It is perfect for selling all kinds of exterior & interior design related products. You can easily showcase your products in vivid way on your online store. Benco Shopify Furniture Themes built with outstanding features. They are 7 Home pages, 2 Slider, Banner, 2 Testimonial, 2 Home Blog Style, Pricing Table, Service page, Faq Page, Custom HTML. It also includes Feature Product, Quick View, Google Analytics, Quick Install, Ajax Cart and more. Benco, the Cross browser multipurpose Shopify Theme may be the best solution for your online store. This well documented theme may use without any hesitation.